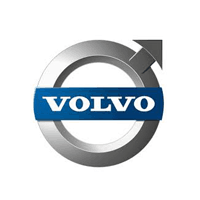 Stockholm – January 28, 2019 – Volvo Cars, owned by China’s Zhejiang Geely Holding Group, is voluntarily recalling more than 200,000 vehicles due to a potential fuel line leak. The recall includes vehicles in various model ranges including the V90, XC60, XC90 and S60. According to AutoBlog, Volvo issued the recall after discovering an engineering issue that could potentially cause fuel leakage into the engine compartment over time. Certain vehicles may have small cracks inside one of the fuel lines in the engine compartment. These gaps can widen over time, and combined with a pressurized fuel system may lead to fuel leakage. Fuel in the engine compartment can increase the risk of engine fire. According to Reuters, nearly 219,000 cars spanning 11 different models produced in 2015 and 2016 have been affected, and the highest number of impacted cars are in Sweden, the U.K. and Germany. Volvo said that there have been no reports alleging injuries or damages related to this issue, and that the recall is preventative. The recall affects diesel-engine cars made between 2015 and 2016., with a potential 219,000 cars worldwide could be affected across the globe with over 30,000 located in the U.K. The models affected by the potential fault include the V40, S60, V60 and the Cross Country variants of each of these vehicles as well as affecting the XC60, V70, S80 and XC90. Previous Volvo recalls included the September 2018 recall of 2019 Volvo XC60 hybrid electric vehicles equipped with certain AeroVironment electric vehicle charging cords, due to the possibility of capacitor failure that could result in a shock hazard or a fire. In November 2018 Volvo recalled certain vehicles for faulty software installed in the Vehicle Connectivity Module (VCM) which could cause the Telematics and Driver Support Systems to function improperly, preventing GPS from transmitting correct location information to emergency personnel. GPS will not provide location information to emergency personnel in the event of an emergency. Volvo will contact vehicle owners to arrange a correction of the issue. Owners can check their VIN on the Volvo website to find if it is affected. Owners may also contact the National Highway Traffic Safety Administration Vehicle Safety Hotline at 1-888-327-4236 (TTY 1-800-424-9153), or go to www.safercar.gov.